Removable snap on bands. Plastic. Available in 10 colors. Removable snap on bands. Plastic. Available in 5 colors. 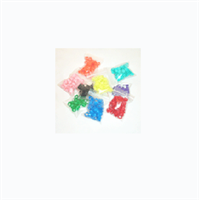 Packaged 25 bands per bag. Registered AU bands issued by the American Racing Pigeon Union. Sold in quantities of 10 bands. A wall mountable tool used to hold seamless bands (ex: AU Bands). Each Banding Buddy holds approx. 60 bands. Each pole is stable enough to keep bands from dropping to the floor. NEVER LOOSE A BAND AGAIN!